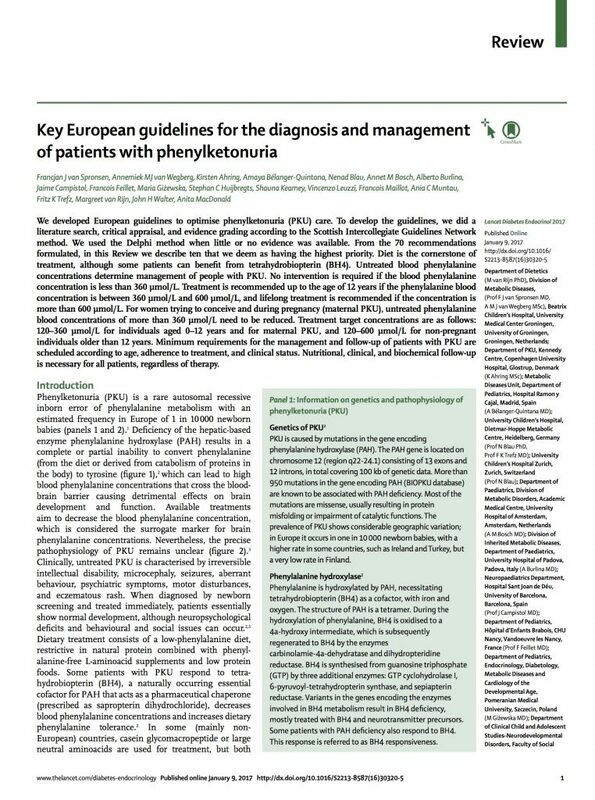 The European Society for Phenylketonuria and Allied Disorders Treated as Phenylketonuria (E.S.PKU) is very happy to announce that the European Guidelines for Phenylketonuria have been published in The Lancet Diabetes & Endocrinology. Getting to this point has taken many years of preparation. First in the line was the publication of Closing Gaps in Care. This showed the great need for European Guidelines. Treatment for Phenylketonuria is very different in Europe although it’s always the same disease. After the publication of Closing Gaps in Care the delegates of the E.S.PKU published the Consensus Paper in Orphanet Journal of Rare Diseases. 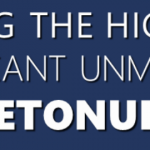 This voices the patients need for European Guidelines for Phenylketonuria. After both of this publications the E.S.PKU funded a group of experts in the field of PKU to work on the first European Guidelines for Phenylketonuria. Professor Francjan J. van Spronsen lead this group of experts through a long project concluding with the publication of the European Guidelines for Phenylketonuria. On January 9th another big milestone has been reached. 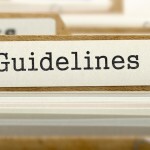 The Lancet Diabetes & Endocrinology has published the key statements of the European Guidelines. This is the first very important step in the quest to achieve equal treatment throughout Europe. Of course this does not mean that we have reached the end of the road yet. The next step is the publication of the complete list of statements in a different medical journal. Also the E.S.PKU is working on a layman version (and translations) of the guidelines so patients can understand themselves. Follow the E.S.PKU so you don’t miss out on future updates. Also you might want to consider visiting a future conference. Please support this important mission by sharing this post and spreading the word about the first European Guidelines for Phenylketonuria!